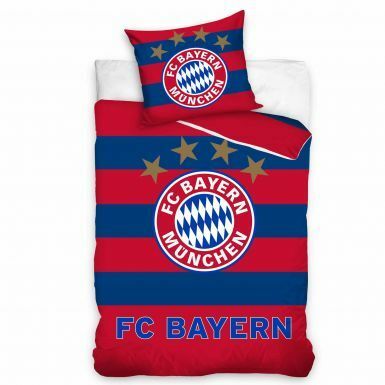 This official Bayern Munich single (Twin) duvet cover set includes a duvet cover and one pillowcase cover. This set is suitable for a single twin bed and is made from 100% Cotton. Duvet Cover measures approx. 140cm x 200cm and the pillowcase measures 70cm x 80cm. Duvet/Comforter Cover NOT Included.